They want to buy an upgrade for their collection but can’t get what they deem a fair deal on the piece that they already have. They are looking to sell their collection and everyone is pushing their auction platform. In order to get the best results, they are influenced heavily into auctioning with No Reserves, but they are uncomfortable with the risk. Coming from both sides of this conversation, we understand it 100%! The auction company wants to sell everything possible or they don’t get a commission. However, we have a commitment to our relationships with our customers that we must honor and that is why we came up with the Guaranteed Auction Program! The Guaranteed Auction Program is a rather simple option that we offer to our customers who want to experience the upside of an auction with none of the downside. I won’t go into the boring details here, but you can read about them in our recent blog here. Of course, if you have further questions, please email us at coins@davidlawrence.com, and we’ll be happy to answer. If you have a list of coins you’re looking to sell, we’ll be able to help even further! The one group of coins that the GAP program isn’t optimal for is more common or generic material, especially gold. However, there’s a place for it with most coins and we’re happy to work with you to help maximize results for you whenever the time is right for selling. Why we love it: A popular New Orleans Mint Issue Morgan Dollar in nearly perfect gem condition with a beautiful mostly white obverse and a light orange-tinted reverse. A satiny gem with blemish-free surfaces make for premium eye appeal. This immaculate Morgan Dollar is tied for the finest known example graded by PCGS for this issue. Value: The PCGS Price Guide has this coin valued at $15,000 with the CPG at $13,200. It is available in this week’s auction with the reserve set at a very reasonable level of just $11,000! The Greysheet bid price sits at $10,500, thus this coin is a fantastic, registry-quality piece for just a tad over the wholesale value. Why we love it: A popular and surprisingly lustrous early Half Cent type coin. This coin displays fully original, well-struck surfaces with beautiful chocolate brown coloring that make its eye appeal appear high-end for the assigned grade as shown by its CAC approval. This scarce, early type coin comes from a lower, original mintage of just 476,000 coins struck in which only three are graded finer by PCGS with the Brown color designation. Value: The PCGS Price Guide has this coin valued at $11,000; however, it is available in this week’s auction with a reserve of just $9,150. 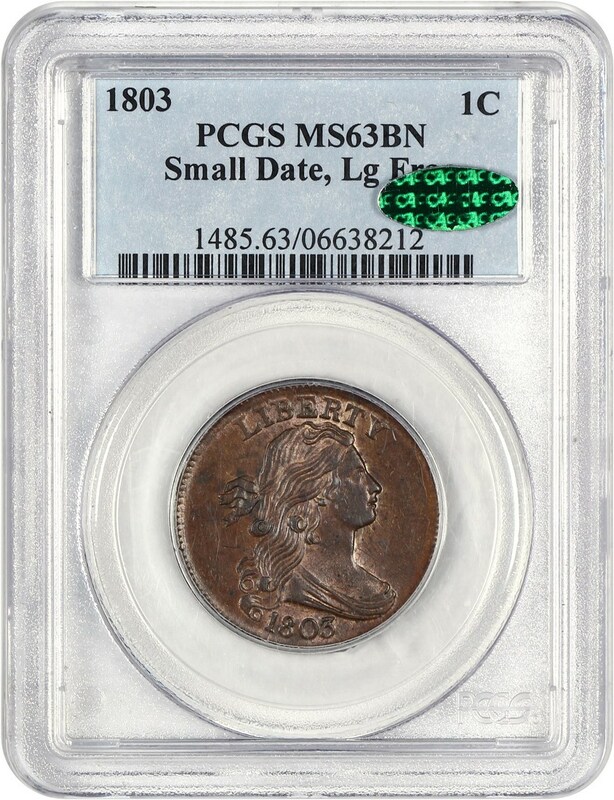 $1,850 below the PCGS Price Guide value, this beautiful and scarce, early Half-Cent type coin with CAC approval is sure to go quickly in our auction ending this Sunday! In just a single point finer, this coin quadruples in price! This is a perfect opportunity for a high-quality piece before it jumps in price. Why we love it: A scarce and desirable Charlotte Mint Issue Liberty Quarter Eagle with fully original coloring and surfaces. The remaining luster along with its nearly Mint State level eye appeal make it seem under-graded. This Rare C-Mint Issue Quarter Eagle comes from a low, original mintage of just 18,140 coins struck in which only five are graded finer by PCGS. Value: The CPG reflects a value of $16,000 with the PCGS Price Guide standing at $15,500. Offered with a reserve of $15,250, this is a great opportunity to own this scarce Charlotte issue Quarter Eagle. 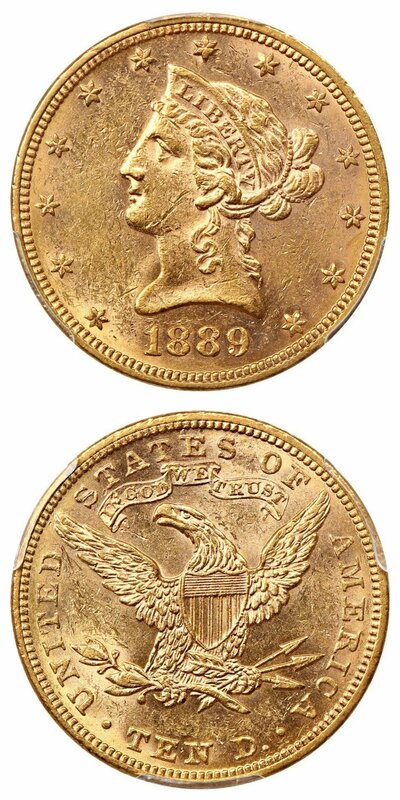 Why we love it: A surprisingly scarce date within the Liberty Gold Eagle series with a mintage so strangely tiny that it is one of the absolute lowest of all the “with Motto” issues. This example displays incredibly flashy, lustrous surfaces with spectacular eye appeal. This rare later P-Mint Issue comes from an incredibly low, original mintage of just 4,440 coins struck. Value: We love the value on this scarcer issue as the mintage shows that the coin is far scarcer than the price that is reflected. The PCGS Price Guide has this underrated and overlooked scarce date valued at $3,150. As no pieces in this grade have been auctioned since 1998 (! ), we understand why they can’t accurately reflect the value. 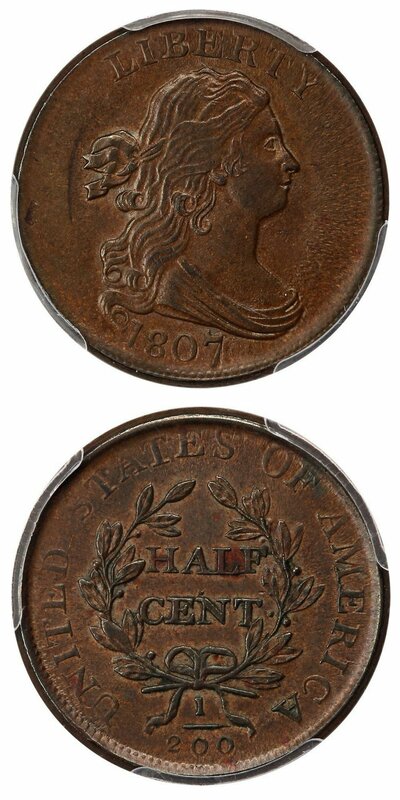 However, the CPG sits at $3,900 and this coin is reserved in this week’s auction for just $3,600! Why we love it: A perfect higher grade early type coin for the Draped Bust Large Cent series. This coin displays fully original, lustrous surfaces that feature ideal dark brown coloring with some light highlights around the devices that give it nice eye appeal for the grade as shown by its CAC approval. There are only five examples of this issue graded finer by PCGS with the Brown color designation. 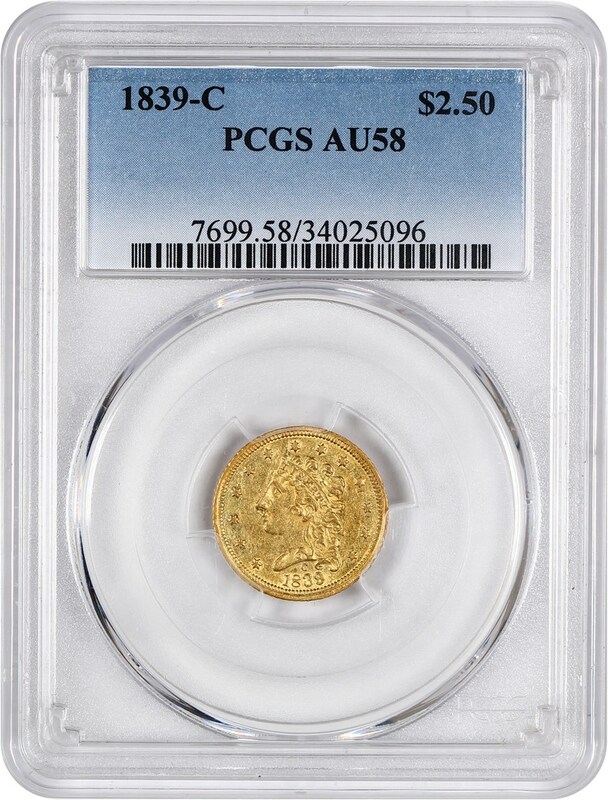 Value: This scarce, higher grade early Large Cent type coin has a CPG Value of $9,600 and a PCGS price of $11,500 but is available for purchase via Make Offer for just $10,000 in this week’s CWL. Why we love it: The 1887-S Morgan Dollar is a slightly scarcer date on its own, but this specific example is from the famous Redfield hoard making it especially rare. There were few examples of this better date S-Mint found in the hoard which makes it that much more desirable and valuable. This example displays fantastic luster and gorgeous, darker magenta and gold peripheral toning with few detracting blemishes. Value: This is an amazing chance to make this affordable yet historic numismatic treasure yours for the low and reasonable price of only $575 via Make Offer! Why we love it: A scarce and desirable Washington Quarter “over mintmark” variety in which the upper left curve of the underlying S is evident west and north of the D. This gem example displays pristine, blast white surfaces that are covered in incredible amounts of strong luster. 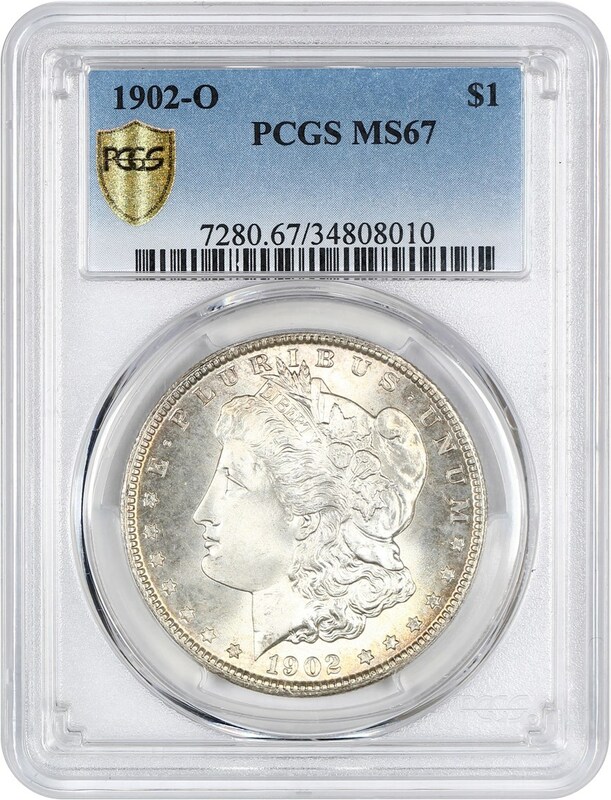 There are only two examples of this Variety in existence that are graded finer by PCGS. Value: he PCGS Price Guide has this coin valued at $7,000 with the Greysheet Bid value of $5,750. We are proud to offer this scarce “over mintmark” variety for less than the wholesale value this week for just $5,500 through our Make Offer function. Why we love it: The 1889 Carson City Morgan is one of the most highly sought-after key dates in the Morgan Dollar series. This famous key date is a must-have for any serious collector or investor of Morgan Dollars, Carson City coinage and any enthusiast of U.S. coins. This example is an especially desirable rarity as this issue is difficult to locate in Mint State grades. It displays mostly bright white surfaces with strong luster and incredibly high-end eye appeal for the assigned grade. Value: CPG reflects a value of $51,400 with the PCGS Price Guide at $53,500. It is available for purchase at the low and reasonable price of just $42,000 via Make Offer! That is $11,500 below the PCGS Price Guide Value and $9,400 under the CPG Value for this high-grade famous key date Carson City Morgan Dollar! Why we love it: A low mintage proof Morgan Dollar issue that displays pristine cameo surfaces with unique and captivating brown toning. This ultra-gem features strange, different, yet pretty eye appeal from the darker, odd gray toning and strong cameo contrasts. This scarce proof Morgan comes from an extremely low, original mintage of just 846 coins struck in proof format in which only two are graded finer by PCGS with the Cameo designation. Value: The PCGS Price Guide has this coin valued at $21,000. We bought this coin from another dealer recently for an incredibly reasonable value and are happy to offer it for just $12,500 via Make Offer! 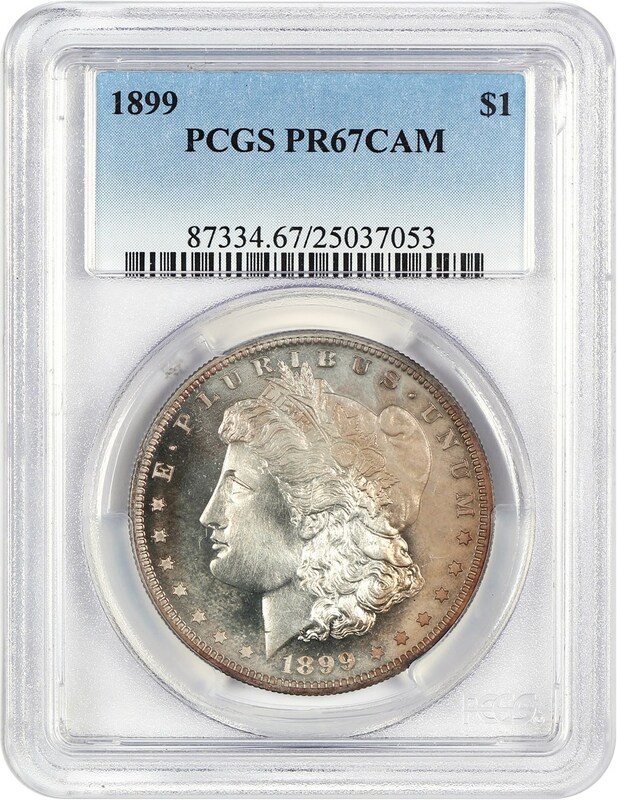 That is an entire $8,500 below the PCGS Price Guide value for this deeply toned, low mintage ultra-gem proof Morgan! Why we love it: This historic Shipwreck piece from the famous “Ship of Gold”, the SS Central America, displays pristine gem surfaces with gorgeous yellow-gold coloring and plenty of luster. This example is just one of the few coins found from the shipwreck in high-grade gem condition with most known examples being 64s. 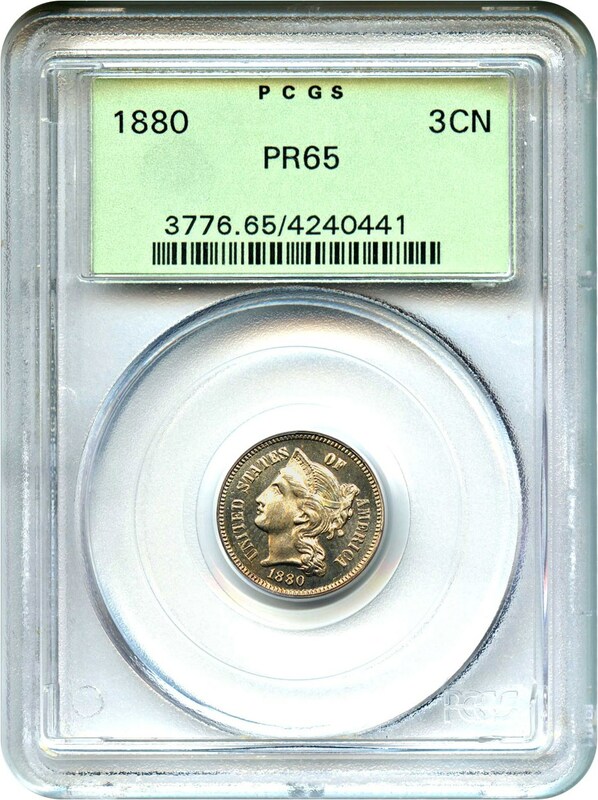 There are only eight other examples known graded finer by PCGS. Value: The PCGS Price Guide has this coin valued at $35,000, and we are offering it for direct purchase at the reasonable price of just $32,500 via Make Offer. We expect this stunningly gorgeous gem from the now-famous Ship of Gold will not be available much longer! Why we love it: An affordable, bright red gem Indian Cent type coin housed in an Old Green Label Holder. The immaculate surfaces, strong luster and beautiful coloring make for eye appeal so attractive that the coin seems under-graded. There are surprisingly less than 100 examples of this issue graded finer by PCGS with the Red color designation. Value: The PCGS Price Guide reflects a value of $625. It is available for purchase at the fair and reasonable price of just $550 through our CWL Make Offer special! That is a solid $75 discount of the PCGS Price Guide value for this beautiful bright red gem type coin for the Indian Cent series! Why we love it: A gorgeous, lightly golden toned gem proof Three-Cent Nickel type coin preserved in an Old Green Label Holder. This pristine gem features mostly blemish-free proof surfaces that show strong signs of a cameo, which make for fantastic eye appeal. 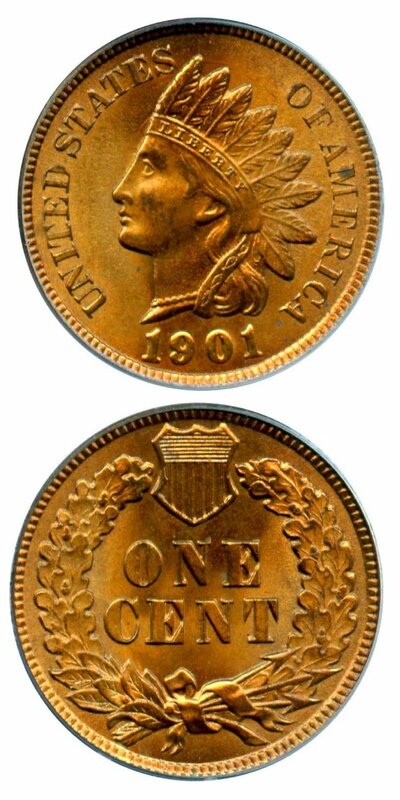 This 3-Cent Piece issue comes from a low, original mintage of just 3,955 coins struck in proof format. Value: PCGS lists this date and grade for $500, but it is available for purchase at the price of just $450 via Make Offer! 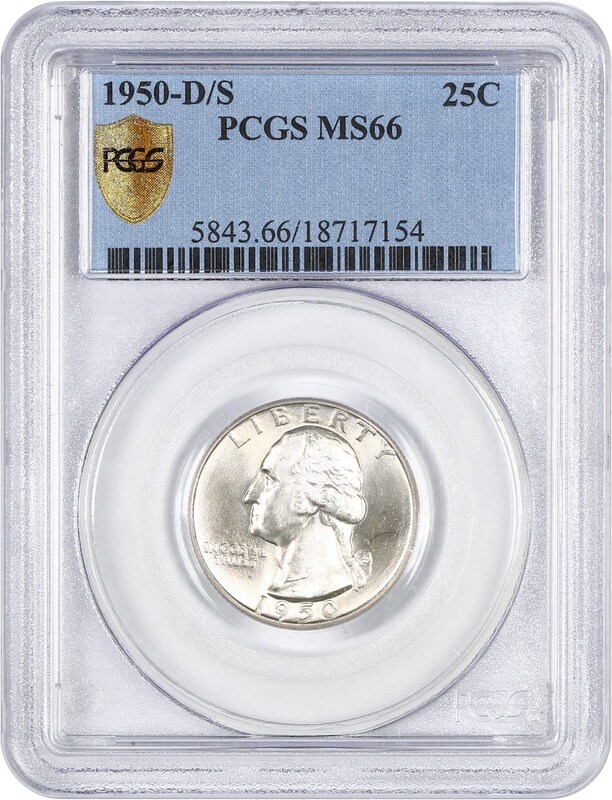 That is a $50 discount off the PCGS Price Guide value for this stunning gem proof 3-Cent Nickel housed in an Old Green Label Holder! 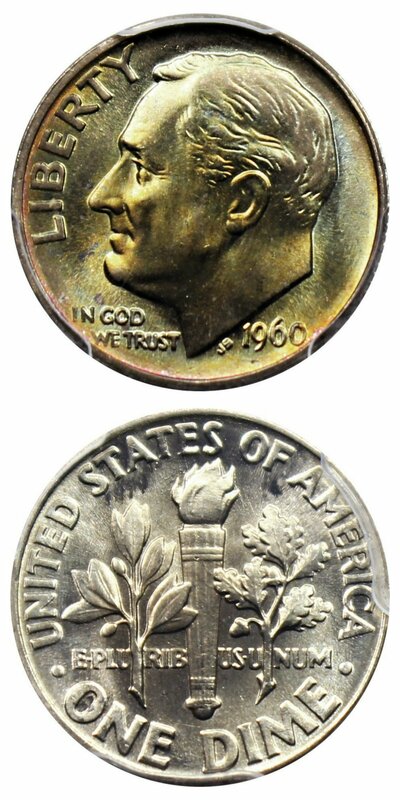 Why we love it: A beautifully, vibrantly toned Full Bands Roosevelt Dime Ultra-Gem type coin with plenty of luster. Lovely obverse toning with golden highlights and subtle hues of blue-green and magenta complemented by a mostly blast white, lustrous reverse. This nearly perfect, gorgeous example is tied for the finest known graded by PCGS. Value: The PCGS Price Guide has this coin valued at $600. It is available for purchase at the fair and reasonable price of just $550 via Make Offer. Tied for the finest known, this gorgeously toned ultra-gem Roosevelt Dime is an excellent deal! Auction #1010 Lots Posted. Browse & Bid Now! When Selling Matters, DLRC Guarantees Results!